Hello scrappy friends! Its is Friday..so another edition of Fab Friday is here to spark some creativity for the weekend! This week I played with Cork Chevrons,Autumn Joy Fall Sequins, Gold Mine Texturez, and The Tide That Binds Texturez. I paired them with some hand stitching, The Cut Shoppe cut files, and some of the Oakley Avenue collection from Pretty Little Studio! I created a fun fall layout that has all the mess of messy fall leaf piles! 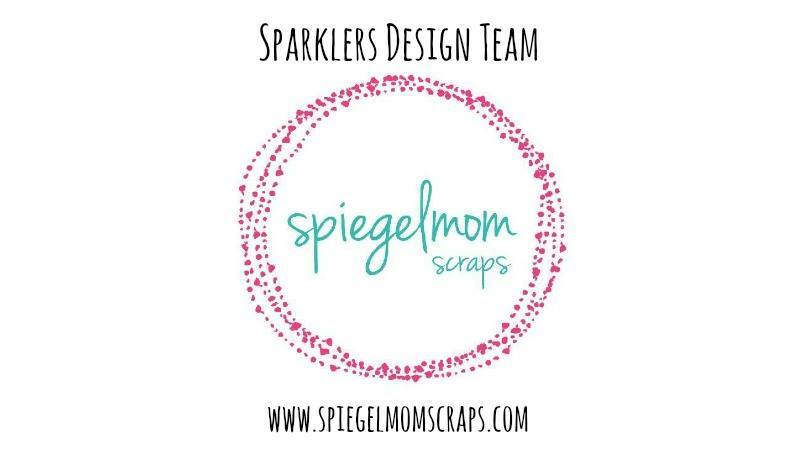 Here is the link to the video….and if you haven’t yet, be sure to subscribe to Spiegelmom Scraps You Tube channel so you don’t miss a thing! There are 3-4 videos posted weekly from all the Sparklers. 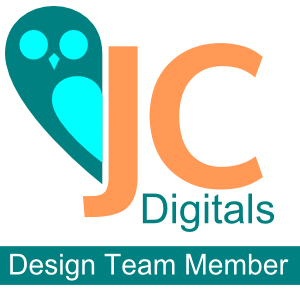 Hello and Welcome to my stop on the Clique Kits Blog Share! This month we are featuring the Sapphire Kit, which includes the most gorgeous shades of blues EVER! 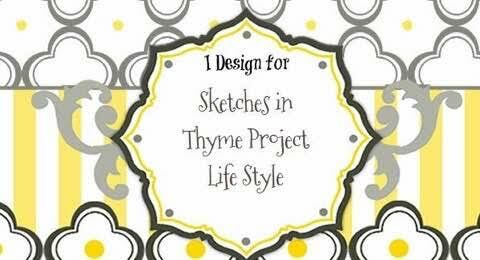 I have a process video for this as well…so be sure to take a peek at my You Tube channel a little later today and check it out! I ordered some of the kit add-ons this month, including the sticker pack..which features some lovely planner stickers! I paired them with the washi tape, and the entire sheet of printables…thats right, the whole thing, and decorated my planner up for the week.. I hope you have enjoyed my projects for this month! Be sure to leave a comment on all the blogs for a chance to win one of these lovely kits! Next stop on our hop is Kim! I’m sure she has some beautiful projects to share as well…and in case you lose your spot, here is the entire line-up! 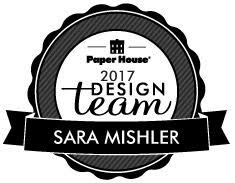 Sara Mishler https://sarascrapsblog.wordpress.com – YOU ARE HERE! Hello and welcome to Fab Friday! For this Friday’s edition, I decided to create a layout using a busy background…then I mixed and matched sequins from THREE different sequin mixes to create a mix to work perfectly on my layout. I created my own embellishments that provided the perfect additions to my busy background without blending in. I used the flatback blue sequins from the Alma Matar sequin mix, the yellow and teal sequins from the Believe In You sequin mix, and the gorgeous mocha brown, shimmery sequins from the Mocha Mint Dream sequin mix…those sequins might be my most favorite sequins ever! The rest of the products from my page come from my October Clique Kit. Here is my completed layout…aren’t those diy sequin embellishments pretty?? Amd here is the link to the You Tube video, which includes a tutorial on how I created those embellishments! I used a large assortment of product from Spiegelmom Scraps this week! Here is a shopping list if you would like any of these gorgeous products! Spiegelmom Scraps is having a huge MOVING SALE which is going on all month, so you can get these products for 35% off using code MOVE35. Items are selling out fast, so be sure to get these get products for a steal while you can! Welcome to another Fab Friday! This week, I used Laura Rumble’s sketch challenge in the Spiegelmom Scraps Facebook group. Did you know that one of the Sparklers hosts a new challenge every month and you can win a great prize for playing along?? This month, Laura has created a sketch and it is very fun! I also created my own embellishments using some cut files from The Cut Shoppe and some Texturez from the Spiegelmom Scraps shop in Marooned Over Miami and Mari- Gold Digger . I created my background using Egg-Noggin Vibez, Hot Fudge Vibez, and Night Moves Coloringz .Some embellishments from the Pretty Little Studio’s Oakley Avenue collection and some Autumn Joy Fall Sequins finish this pretty fall page. Please be sure to leave me a comment or let me know if you make your own DIY embellishments with Shimmerz and die cuts. It’s October 1st…which means another blog hop with the whole Sparklers Design Team…woohoo! You should be arriving here from Crafty Meggy‘s blog! She is so talented! This month it is all about the cards! I have a lovely floral card to share with you today. Let’s start at the back and work our way forward. I started by cutting the lovely free cut file you can find on the Spiegelmom Scraps blog designed by Laura Rumble. After I cut it on my Cameo I sprayed it in each corner with Cotton Candy and Peachy Keen Coloringz. Then I chose a cut file from The Cut Shoppe, watercolored the image and then covered parts of the flowers and leaves with multiple sequins from the shop. I used Ruby Red Slipper Sequins, Spring Green sequins, the pink sequins from the Hot Right Now mix, and the orange sequins from the Happy Dance sequin mix. Remember to pick up your FREE heart cut file on the Spiegelmom Scraps blog and comment along the way or create a card of your own to be entered to win some great prizes!